Normally, someone calling you "big head" is not a compliment, but it just might be a great thing for your little ones. According to new research from United Kingdom health resource UK Biobank, babies born with larger craniums are actually likely to be smarter. The study, which was published in the Journal of Molecular Psychiatry, looked at the link between genes, IQ and overall health. Researchers collected data from more than 100,000 people. They found that people born with big heads were more likely to earn a college degree, as well as score higher on verbal-numerical reasoning tests. But what exactly constitutes a big head? Babies born with a head circumference larger than the average of 13.5-14 inches were likely to exhibit greater intelligence later in their lives. However, big heads weren't the only predictor of intelligence. The study also found that greater overall health is linked to higher levels of intelligence. 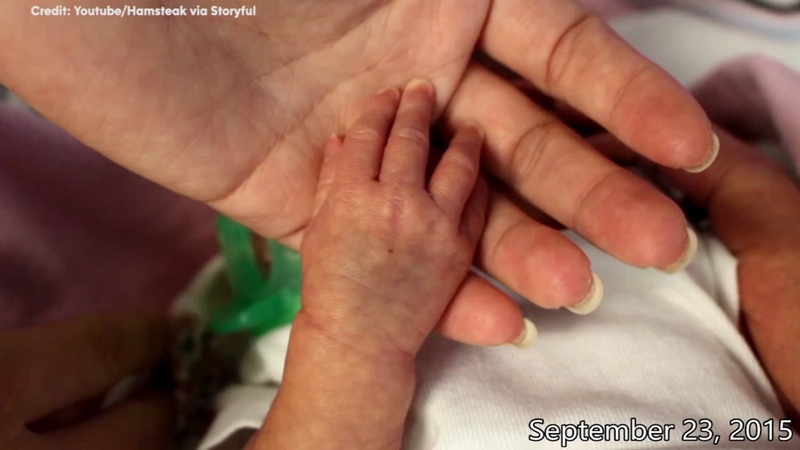 After Bradley Mitchell's daughter was born six weeks premature, he and his wife viewed each day with their daughter as a blessing and documented the first year of her life one second at a time.